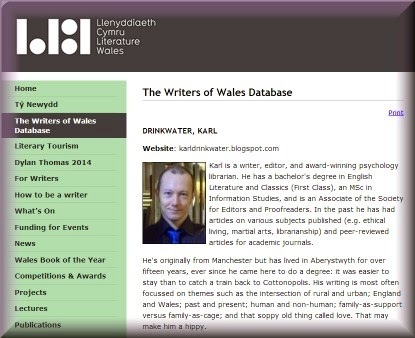 I now have an entry in Literature Wales' Writers of Wales Database. I'm a junior janitor right now but get to rub shoulders with the established literati. Via hard work, inspiration, support from you lovely people, and cake, I hope to rise through the ranks.